City of Bones was an extremely thrilling book full of adventure, quests , legendary and biblical creatures like demons, angels, vampires and werewolves. The book surrounds a secret society of part angel people who must hunt and slay the evil demons, called 'Shadow hunters'. City of Bones is a fictional story about a teenage girl, Clary, who discovers that she can see things that normal people can’t. She finds out that she is part of a world full of demons, and she has the ability to kill them and protect humankind from the deadly creatures. Clary then goes on a quest to find the ancient artifact, called the Mortal Cup, to keep it away from the hands of the evil antagonist, Valentine. The Mortal Cup would enable Valentine to have control over all demons, and would let him make an army of evil creatures that would threaten humankind. Clary finds the cup, but by the book’s end, Valentine had stolen it, and escaped through a portal. The story is set to continue in the second book of the series of six. Clarissa "Clary" Fray is a teenage girl that is little over five feet tall. She has bright red hair, green eyes, freckles and looks a lot like her mother. At a young age, Clary had been seen talking to Downworlders, which are mythical creatures, and her mum decided that she would not let Clary have anything to do with that world. Jocelyn, Clary’s mum, went to a warlock to erase Clary’s memory, and every two years, Clary repeat the procedure. Clary was oblivious to that world and was brought up by a very protective mother. To herself, Clary was just a normal human, who loved doing art. She often draws her emotions in pictures, and it’s her version of a diary. Clary was raised in New York, with Jocelyn and a great family friend, Luke. Clary’s best friend is Simon Lewis, and they have been friends for at least ten years. 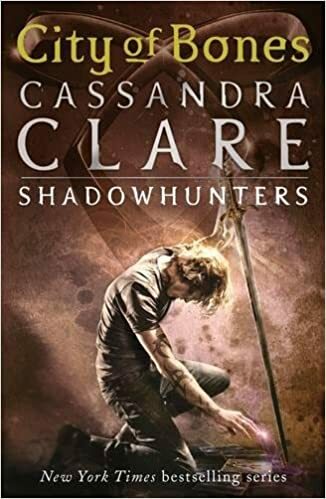 In the book, Clary realises that she is a demon killer, finds out that her dad is an evil antagonist, and Joselyn is captured. Throughout the next books, Clary embarks on a quest to help her mother while adjusting to a life as a Shadowhunter. Image from Amazon, Shadowhunters TV Series by Freeform.